Jasmine is a remarkable dog with an even more remarkable story. Jasmine was born on October 25th 2008 and joined her forever family on January 9th 2009 when she was adopted from a rescue. 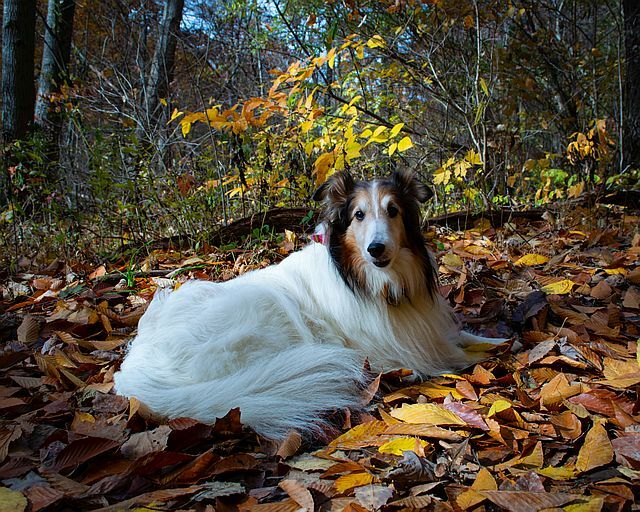 Jasmine proves dogs can do ANYTHING even while bravely battling very serious medical conditions. 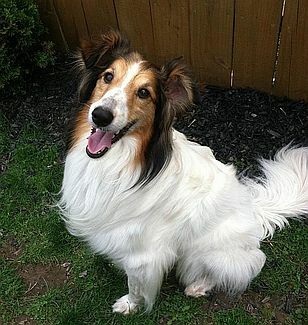 “Princess Jasmine”, as her mom calls her, is considered a sable Shetland sheepdog, but only her face is sable, the rest of her is pure snow white. Her story starts very shortly after adoption. After her adoption, her new family noticed her surgical spots from her spay, dew claw removal and hernia were all infected. She was immediately put on antibiotics. She was also infested with fleas, which caused a heart murmur. Jasmine may have had a rough start to life but she’s a fighter and an example that the power of a loving dog’s will can’t be overshadowed by mere setbacks. As well as being deeply loved and appreciated by her human parents, she is a Canine Good Citizen as well as an Advanced Canine Good Citizen. She also is a therapy dog under Alliance of Therapy Dogs and she is certified as a READ dog (Reading Education Assistance Dog). At age 1, Jasmine was diagnosed with corneal dystrophy which could impair vision as she gets older and does cause frequent eye ulcers. On March 27th 2013, Jasmine was diagnosed with EPI (Exocrine pancreatic insufficiency). Then on August 12th 2014, she was diagnosed with IMHA (immune mediated hemolytic anemia). Born with the soul of a fighter, even though Jasmine has battled, and is still battling, multiple medical conditions, she has accomplished a lot throughout her life. Jasmine has visited multiple nursing homes, bringing light and joy into the lives of many elderly people. Jasmine has also brought much happiness to young people as well in her role as a READ dog – she visits schools to help young students improve their reading skills. In 2014, Jasmine visited Franklin Regional High School in Pennsylvania after the tragic stabbing that occurred at the school. Jasmine was there as a therapy dog to help welcome students back to their first day after this tragic incident. Anxious, heartbroken and fearful students and faculty, found great comfort in Jasmine’s presence there. She was featured in the school newspaper, and she appeared on the local news and in local papers, students’ Facebook pages and YouTube videos. When Jasmine isn’t out in the community helping enrich the lives of others around her, she has a fun and playful side. Jasmine’s favorite activity is playing ball with her daddy and swimming in the pool with her big brother, Cheerio. Jasmine also enjoys practicing agility with her mom. So as you can see, Jasmine through all the serious medical conditions, has managed to bring joy and happiness to many people of all ages and gender. While her body has its issues, her heart and soul never falter! We can all work toward the example Jasmine sets in life – do well, care for others, love completely, and don’t ever let them tell you that you can’t! 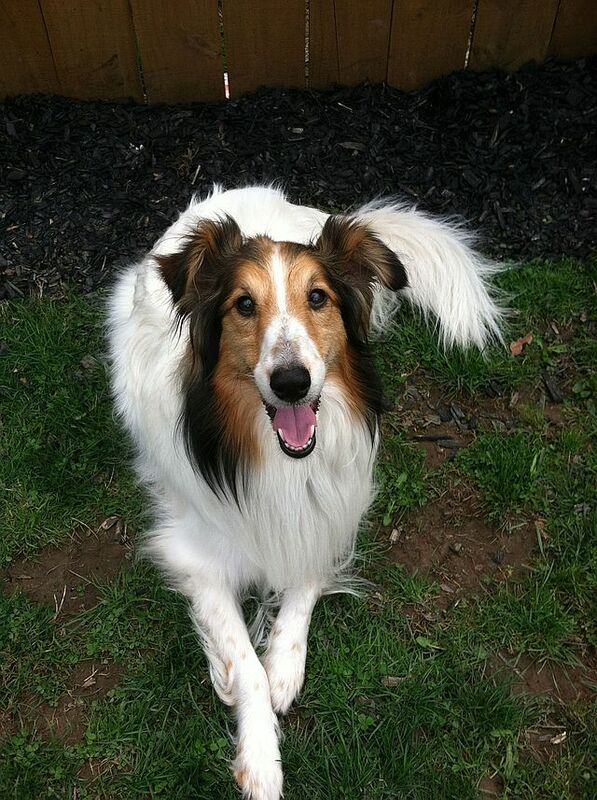 On 8/17/18, Jasmine was dealt another health blow with a diagnosis of bladder cancer and unfortunately, lost her battle on 1/7/2019 when her body could no longer fight. Jasmine’s legacy of service to others, commitment to her community and enrichment of the lives around her will go on in all she touched.